Not long ago we looked at how to tell hearses apart and how to identify a hearse. 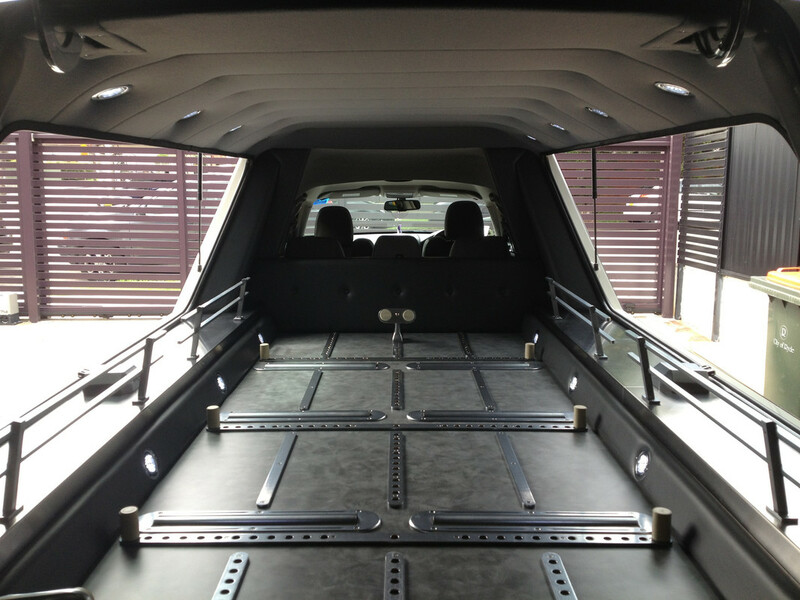 As such it's only appropriate that we look at the hearse in detail, explore inside the hearse. And it should be nice to end hearse month with another picture based post! As always, click to enlarge the photos, and remember that they were taken with a simple iPhone and I'm not a photographer. Firstly, thank you to Lady Anne Funerals for helping to provide a good portion of this content, the Lady Anne hearse is a fine example for understanding the hearse better. So I was quite pleased that Lady Anne were so accommodating and helpful with this post. The Lady Anne hearse was a 2007 Chrysler converted into a hearse in 2009, it cost a whopping $210,000 by the end. White was chosen as it is a "gentler on funerals and fits the image of ladies in the funeral industry". 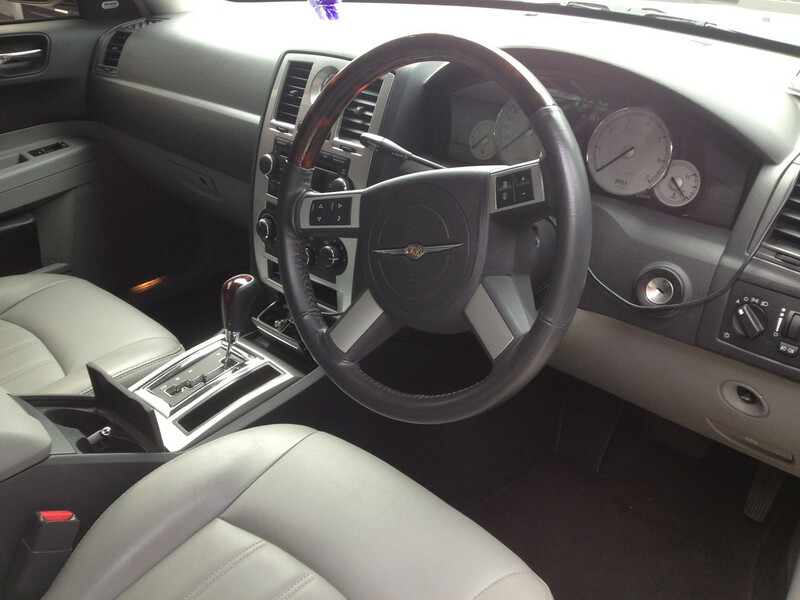 The reason for a Chrysler was because it had lots of space for storage and it looked good. A side effect has been that despite Chrysler changing the shape of the new models this hearse still looks new and can fit in with new Chrysler cars. This is the part of the hearse which I find confuses most people or is most often overlooked, making it the most appropriate place to start. The wing door is the small door on either side of the hearse behind the passenger doors, under the long glass windows (also referred to as "wings" if they open, but more on that later). 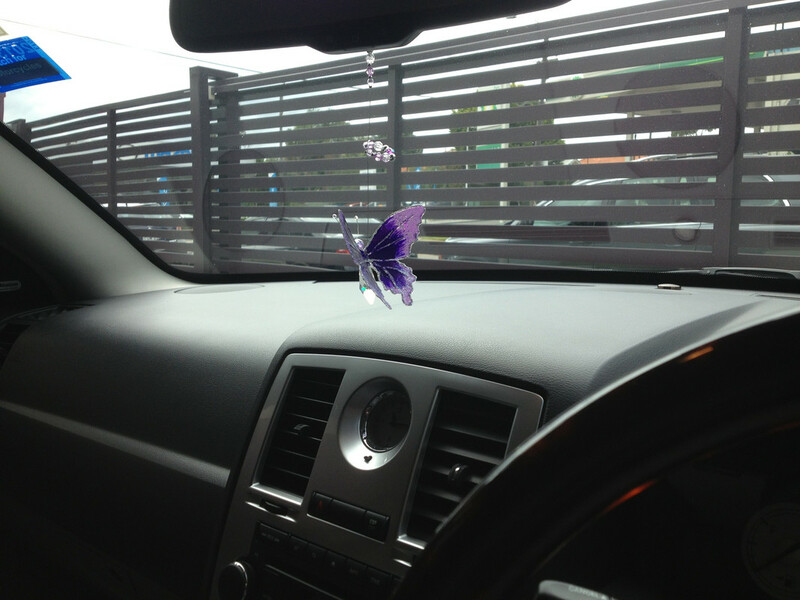 The wing door, circled in purple for clarification. There are two main ways to open the wing doors depending on the hearse, either with a button inside the cabin somewhere, or a handle on the outside. 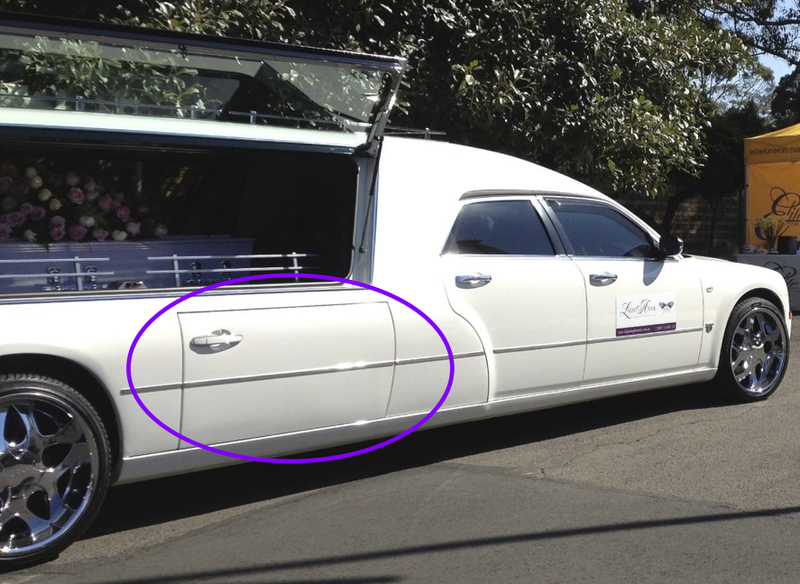 As you can see, the Lady Anne hearse has chosen the external handle style. 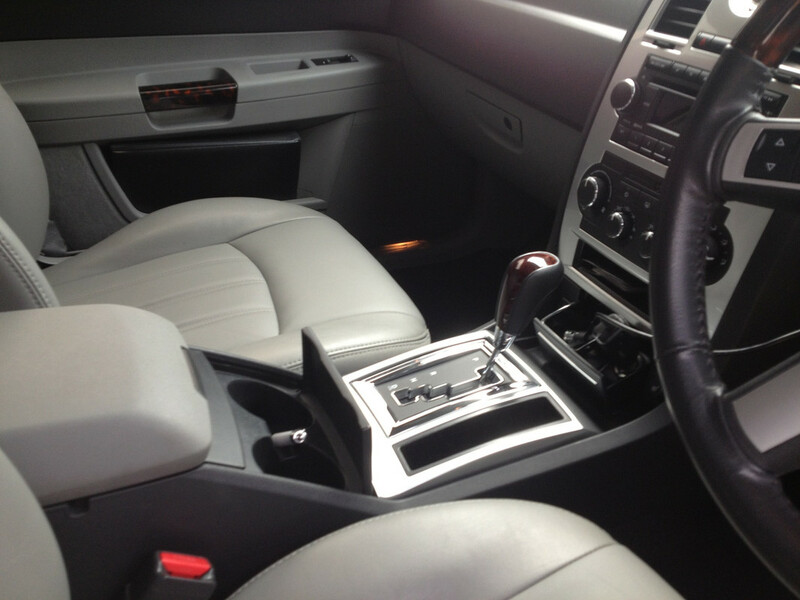 Some dislike the external handle criticising it as ugly or unseemly. 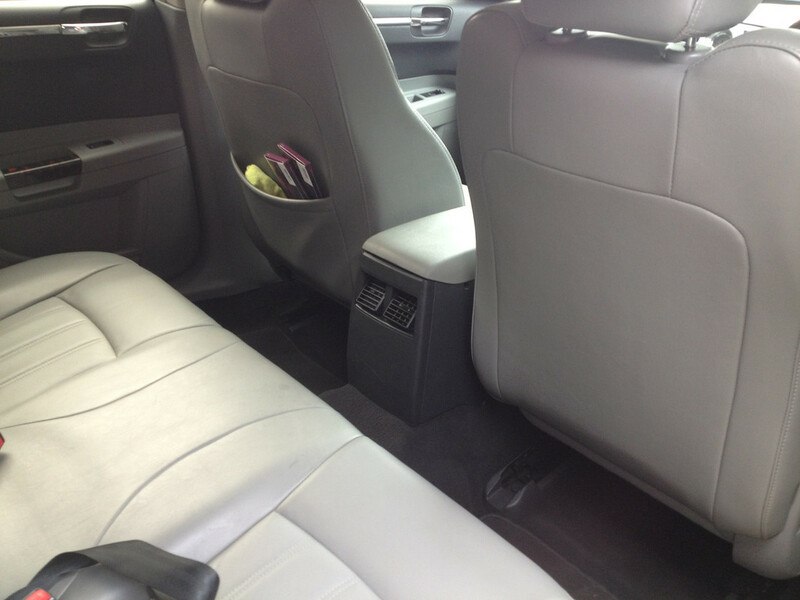 Hence many companies chose to place a button inside the cabin of the hearse which one presses to open the wing doors. But this comes down to individual taste more than anything else, and most mourners are more concerned with the colour and never notice the wing doors. The main advantage to the external handle is sheer practicality and simplicity. 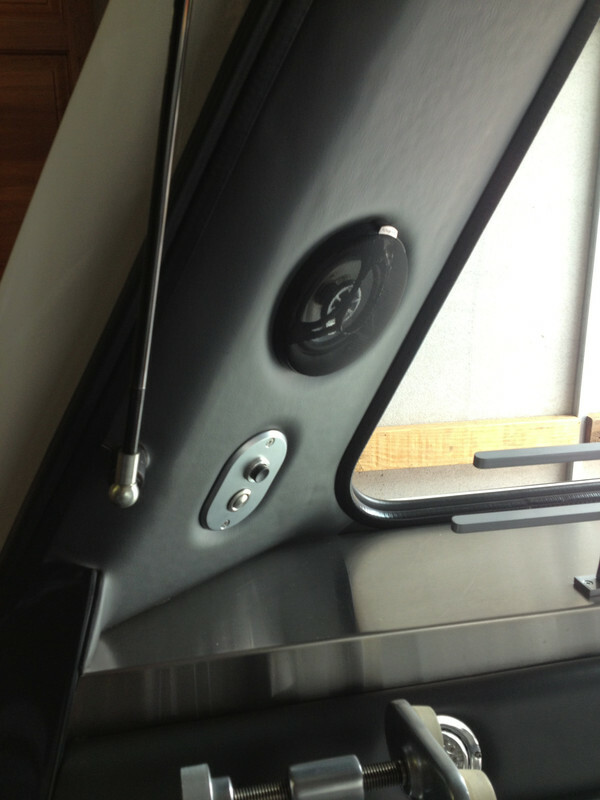 Opening a wing door by a handle like this is so much easier compared with the buttons. The button system means that to press the button one must be a decent distance from the door. Meaning they have no control if the door gets stuck or sings open wildly. 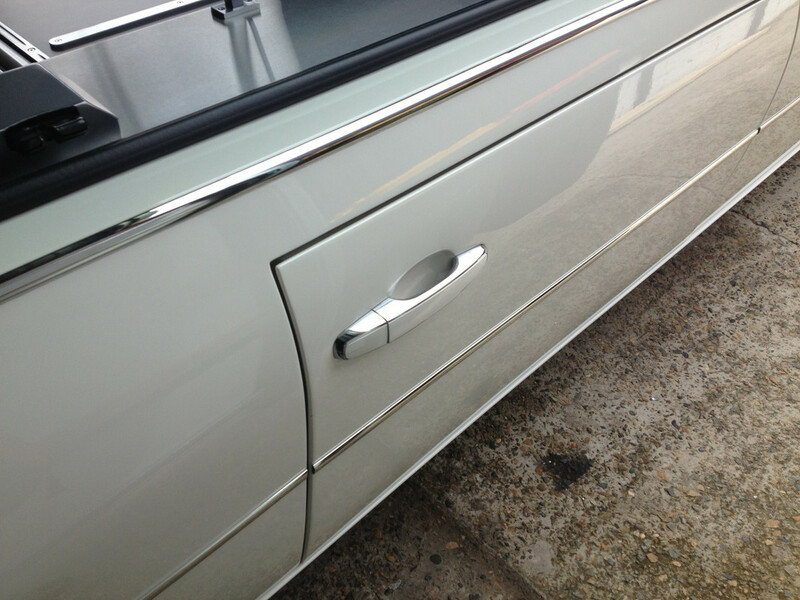 The external handle as shown on the Lady Anne hearse is a much simpler and easier way to open the door. 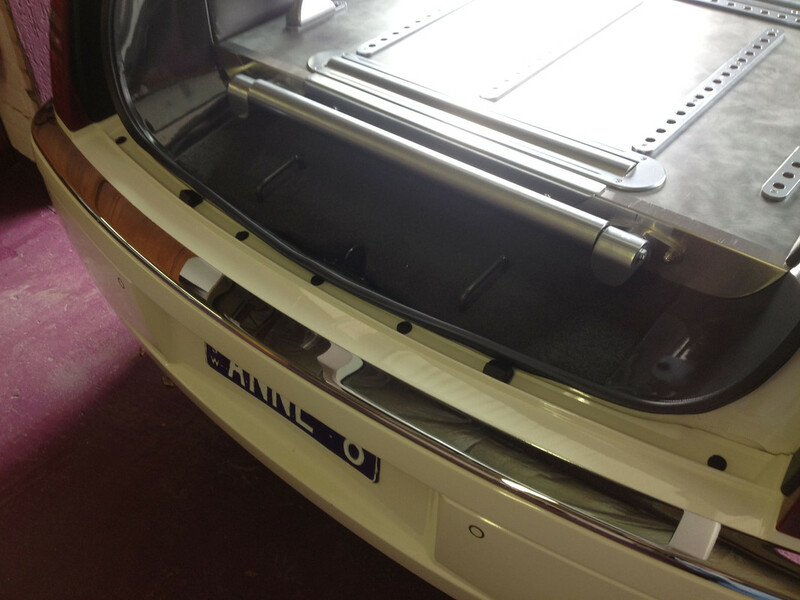 The point of the wing doors is to allow staff to store things under the hearse. 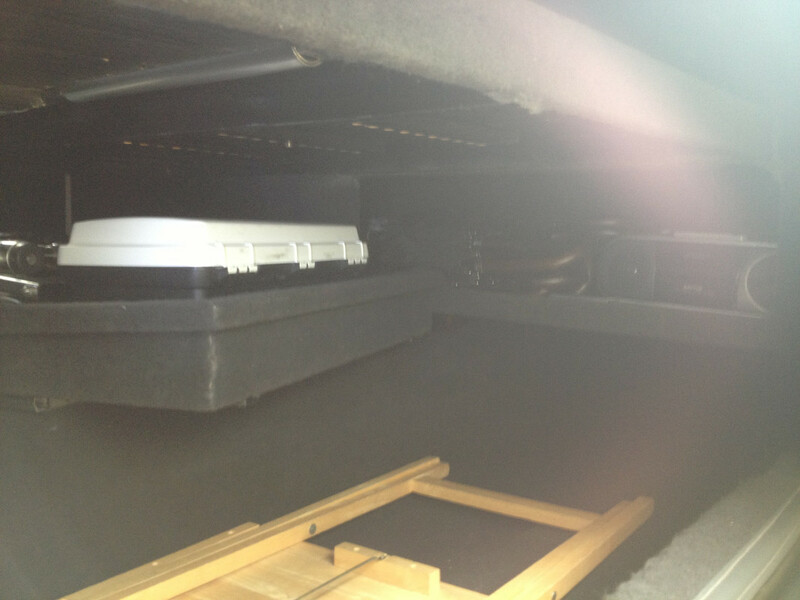 Underneath where the coffin sits is a very large and empty space, it would be silly not to utilise this. 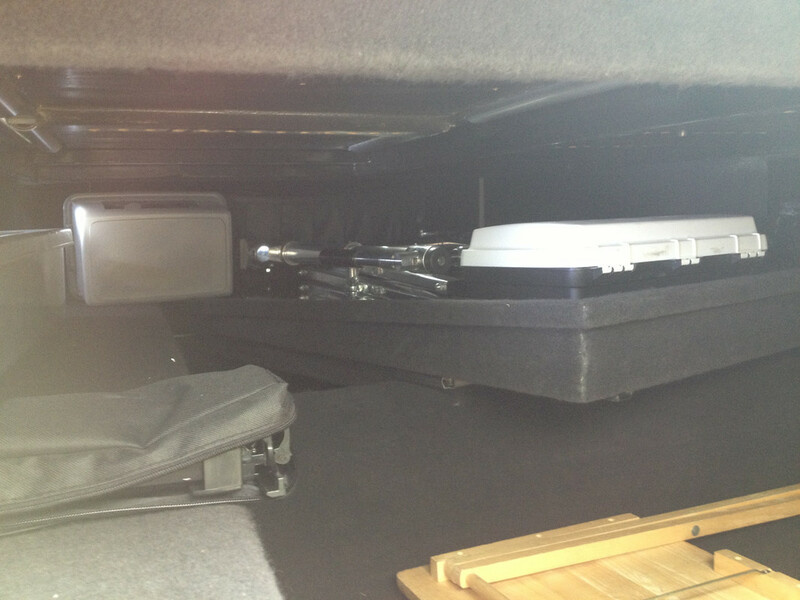 All kinds of useful things are stored here, the hearse is much more than simply a vehicle to carry coffins. Underneath the coffin will be tables, chairs, pens, paper, church trolley, umbrellas, first aid supplies, and more. The Lady Anne hearse is actually one of the more empty I have seen inside, they really have streamlined it down to the essentials. Really, a hearse needs little more than what is shown here, but many end up rather full. 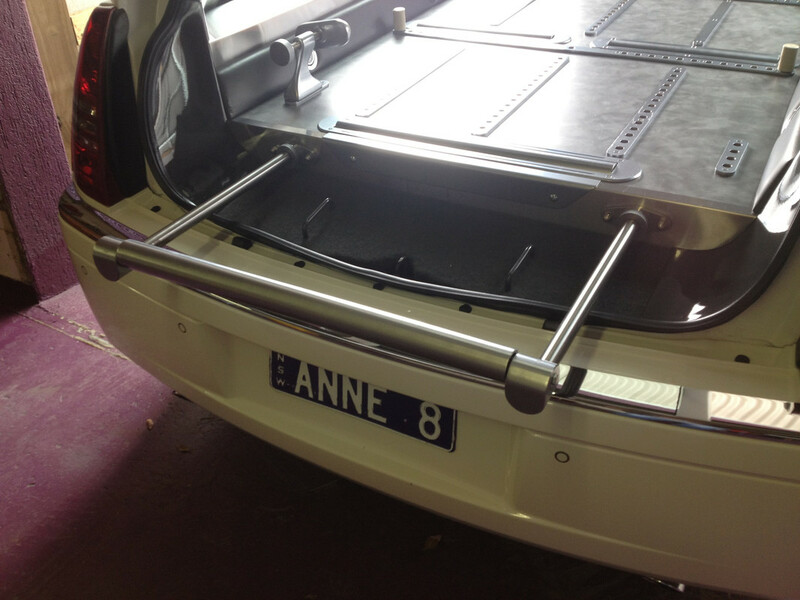 This method would make it easier to get the hearse ready for certain jobs, if anything extra is needed (such as another table, or more umbrellas) it can simply be inserted. I remember at the funeral home I worked at; hearses were kept full so adding extra things meant having to take stuff out or shuffle stuff about. These go by many names (such as 'clamps'), but all names refer to the same thing. These are the two things which hold the coffin in place, one at the head end and one at the foot end. 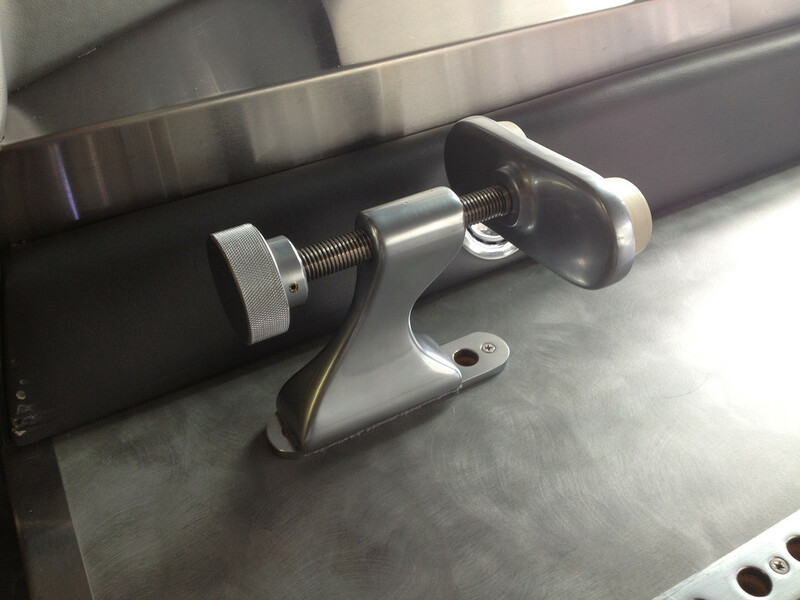 Pictured below is the goose neck for the head end of the coffin, this sits towards the drivers end of the hearse. It is a fixed pice with two rubber bits on the end, it can be moved further forward or back to accomodate different size coffins. 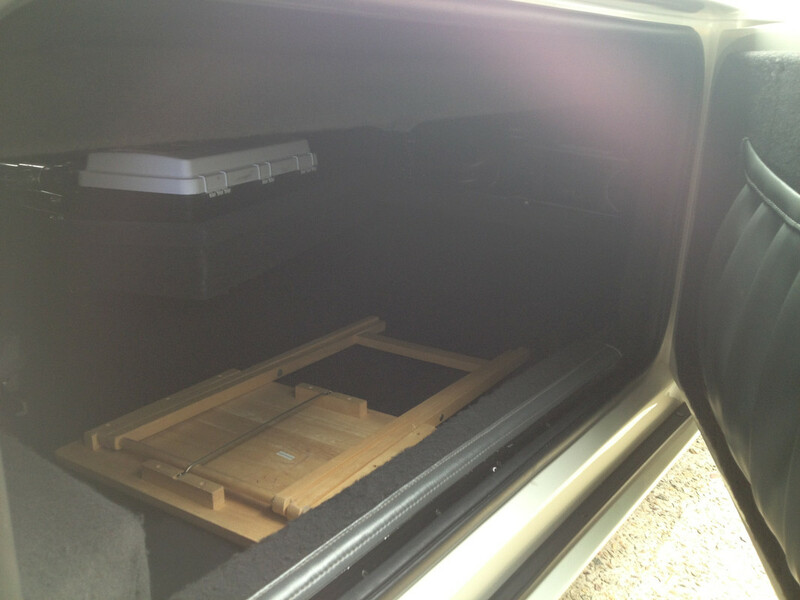 Below is the goose neck that sits at the foot end of the coffin, towards the back of the hearse. This goose neck can be turned, moving the rubber bits forward or back to make sure the coffin is tight and secure. Both goose necks have two pins on the base, which means they can be slotted into any of the holes in the back of the hearse. As you can see with the picture below, there are many places to chose to place the goose neck or pins. But generally the goose necks will sit on the centre row so as to keep the coffin in the middle. You can also see the interior lights, used at night to illuminate the coffin. 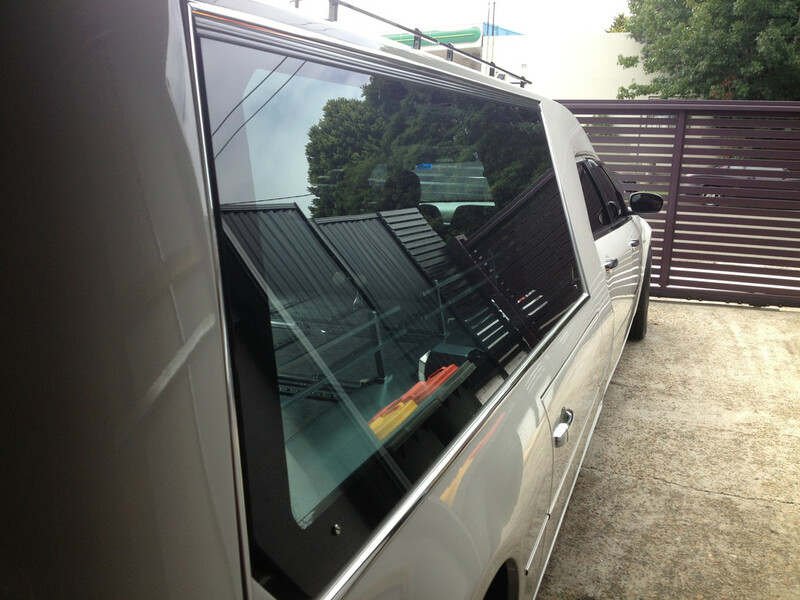 On some hearses the large long back windows can be opened upwards, these are called 'wings' as they look like wings when open. Wing down; when the window is closed. These wing style windows do cost more; the back windows are custom made and expensive to start with so not all companies get them. But the wing style does make it easier to access the back where the coffin sits. Wing up; when the window is open. And as shown below having both wings open can make for a rather impressive sight and stand out from the other hearses. On display at the 2012 Rookwood Open Day. In the Rookwood Open Day parade (2012). 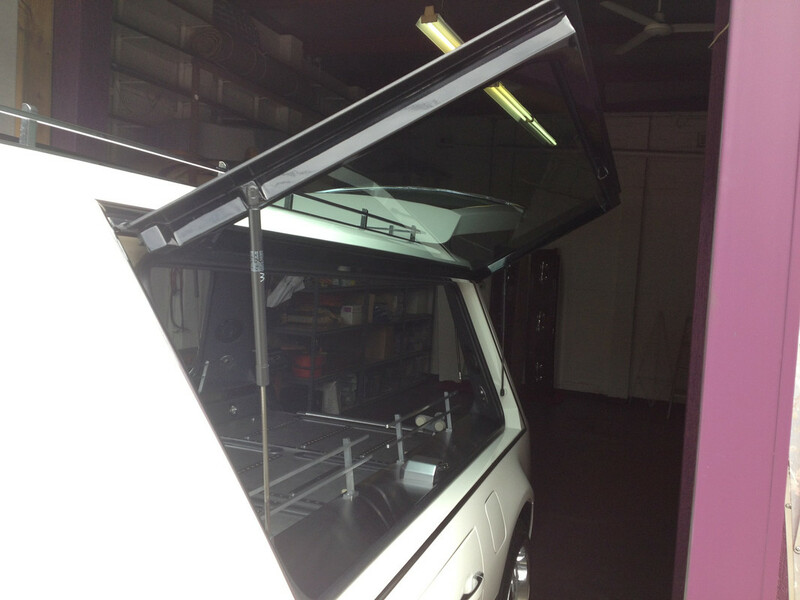 Much like the wing doors the wings can be opened by different methods. As shown below Lady Anne has gone for a button by the back pillar. The button itself is just below the speaker. 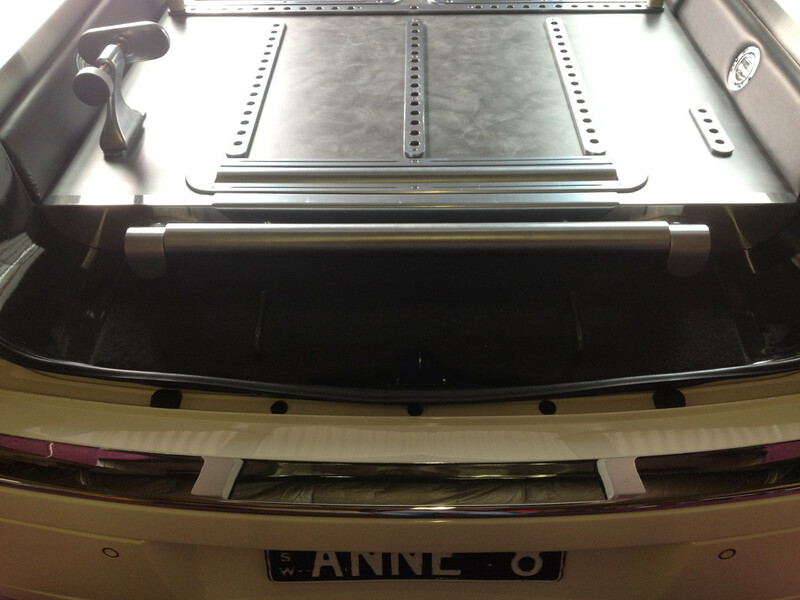 This is an extendable bar at the back of the hearse used to load and unload a coffin. 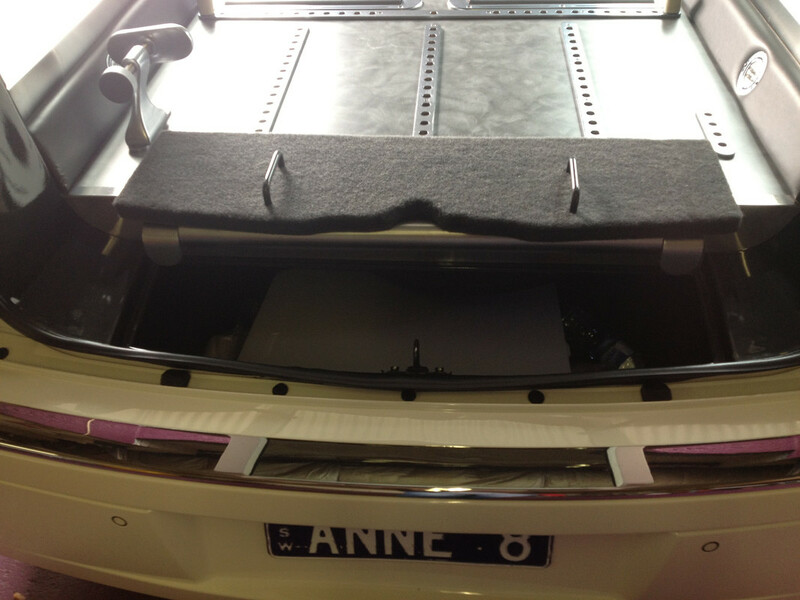 It is pulled out (extended) when putting the coffin in or out of the hearse, so as to make it easier and protect the back bumper. The bar does make is easier to get the coffin in and out, especially with heavy coffins. As soon as the head end is on the bar the bar will take most of the weight. Basically once the coffin is on the bar all the staff need to do is push, no more lifting needed. Naturally the top of the bar spins to facilitate the coffins movement. Which makes pushing the coffin along the bar so much easier. 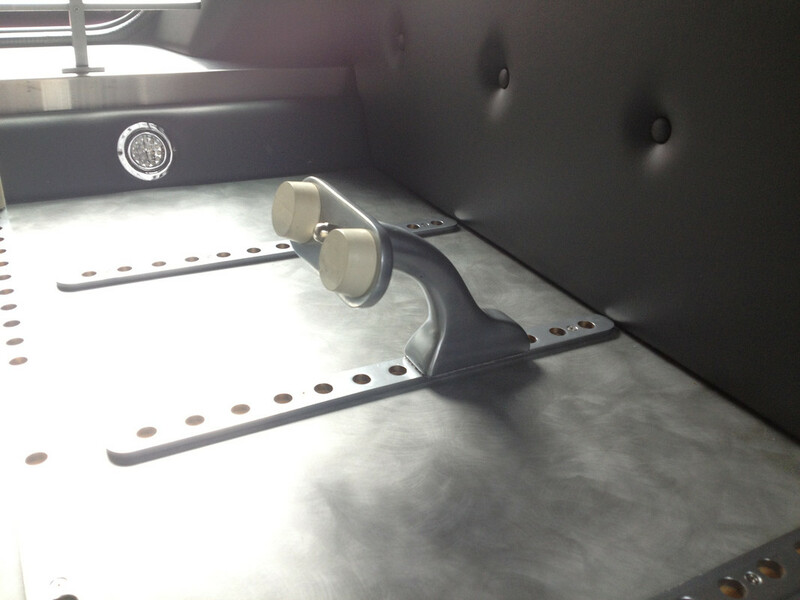 Just below the bar is a small storage area, accessed by lifting a little cover. It is an ideal space to store little things, like crosses or crucifix. 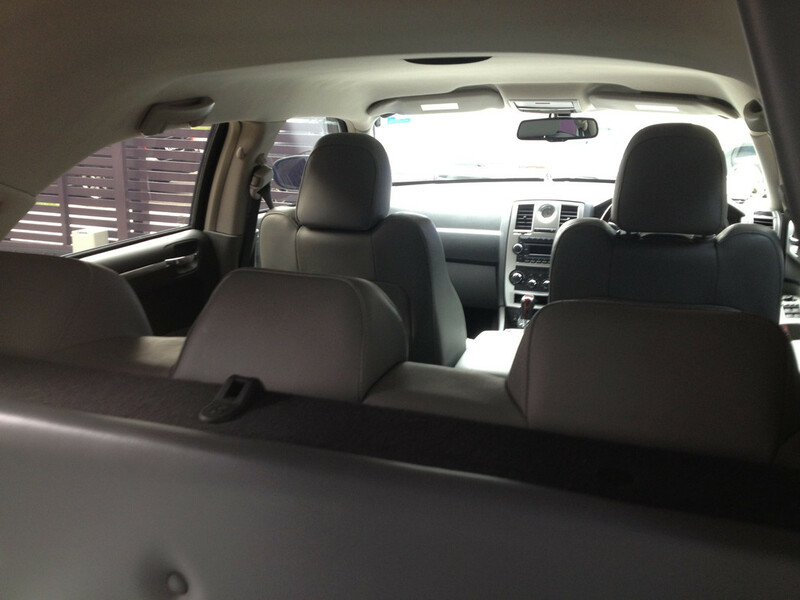 Inside the cabin is less interesting than other aspects of the hearse, as you can see below it is not much different to a regular car. This is because the hearse is simply a regular car that is modified into a hearse. A Lady Anne post without a butterfly? Impossible!